Anyone who is interested in buildings and the designers behind them will appreciate blogs on architecture. Providing the writer doesnai??i? ?t get too technical, or explains technical terms that are necessary, such blogs can be a source of entertainment and knowledge for even novice readers. 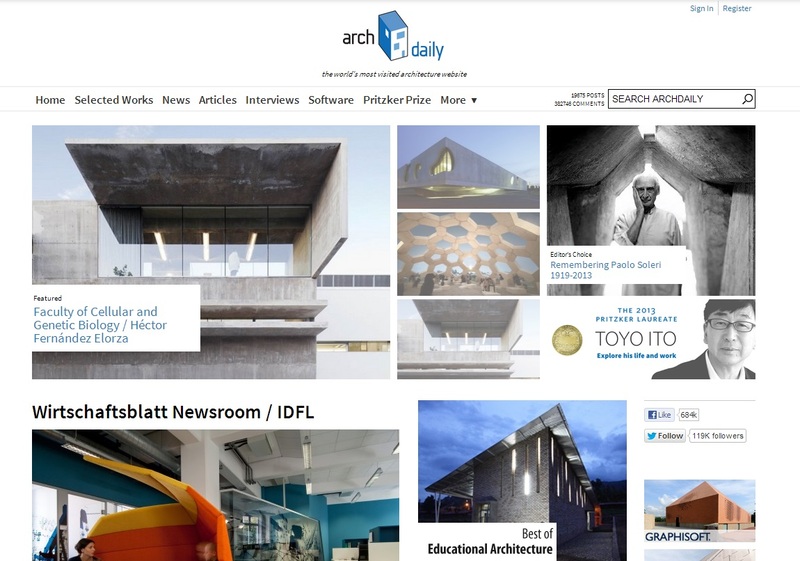 Below are six of the best blogs on architecture available on the web. They have been assessed in terms of their content, interest and readability. The above blog is written by a native New Yorker and focuses on buildings in that city and those of interest across the world. The writer offers an (almost) daily dose of constructions that are deemed to be of interest to visitors. There is not a lot of description, other than the name and place of the building and the names of the architects. Regular book reviews on architecture are also a feature of this blog as are some architectural illustrations, so it is well worth keeping an eye on. 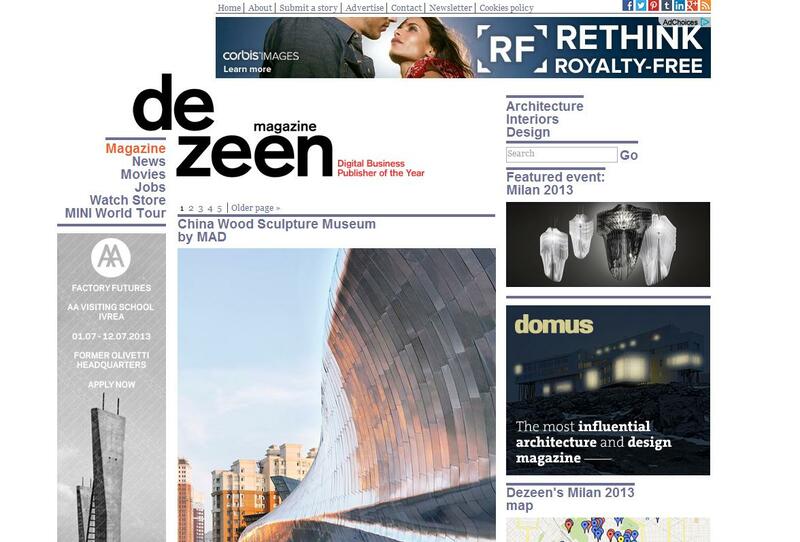 De Zeen is an online design magazine blog. As far as architecture is concerned, the blog gives similar introductions to its featured architecture as the previous blog and also offers reviews of the literature and of architectural YouTube videos. De Zeen also deals with other aspects of design, including motor cars, lighting and household objects. 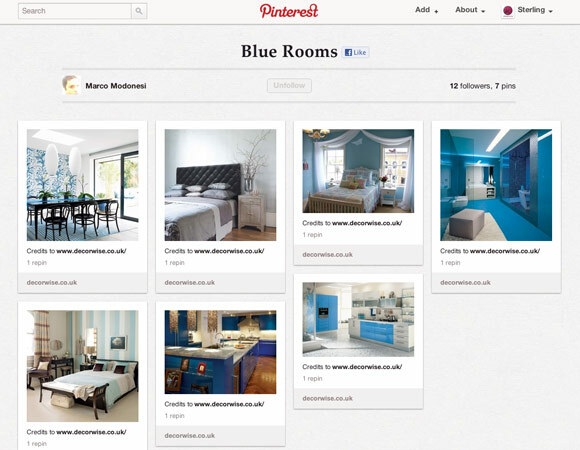 Whether you are a designer or just a general purveyor of the arts, this blog offers a wide range of informative design reviews. 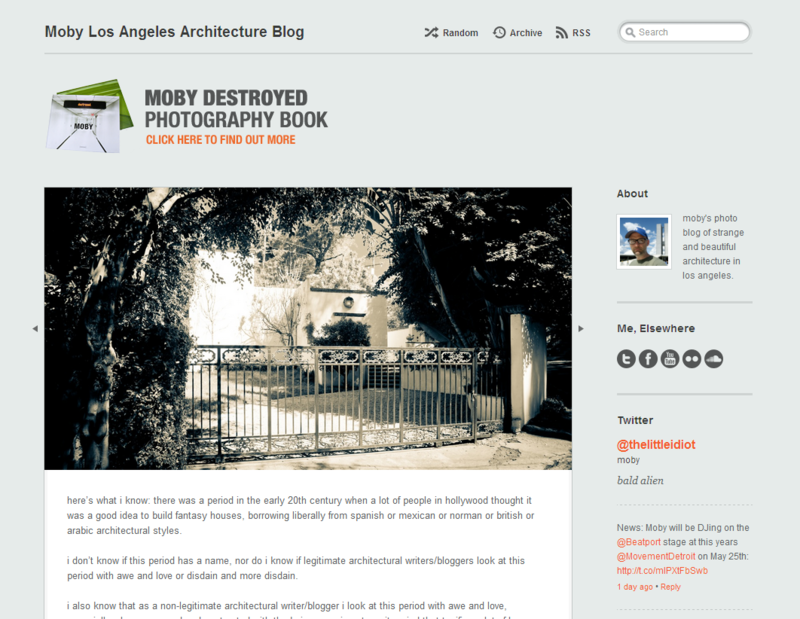 The Moby blog is very different from the two reviewed above as it offers detailed critiques of the many different types of architecture on the Los Angeles front. It is obvious from the blog that the writerai??i? ?s interests lie mostly in the mid century architecture in and around LA. Visually, this blog is attractive and besides the very personal critique of LAai??i? 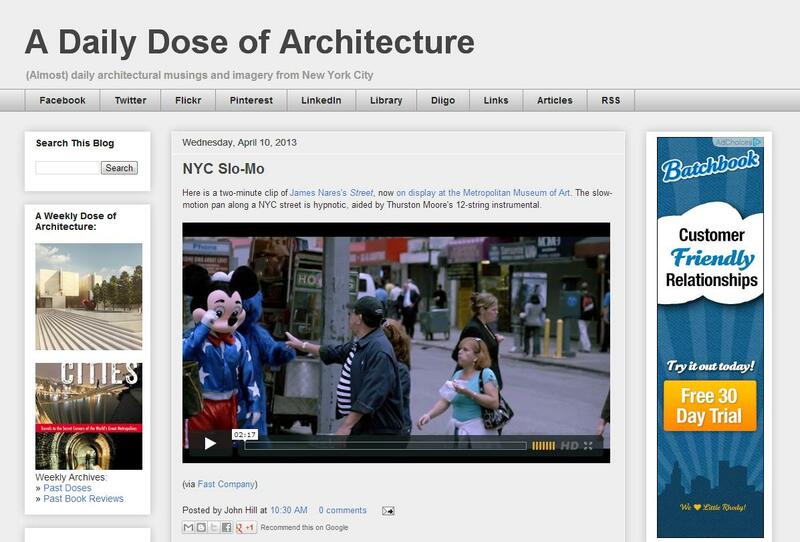 ?s architectural landscape, there is the occasional video from the famous musician turned blogger. 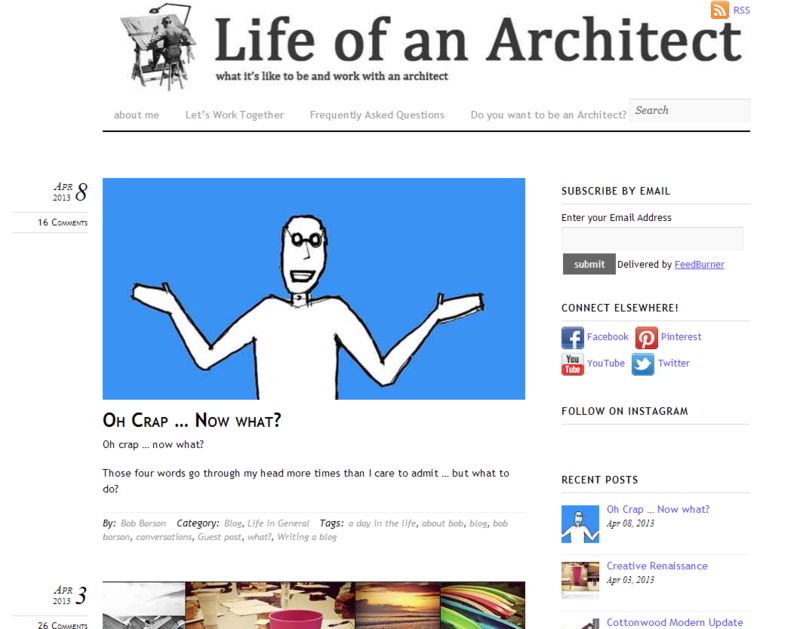 The Life of an Architect blog is one of my personal favourites. While the other blogs reviewed so far are good on architecture generally, or architecture of one particular city, this one offers a birds eye view of what it is like to live and work as an architect. The articles are honest, personal and often amusing.Ai?? If you want to know what on earth an architect does on a daily basis, then this is a great place to start. The Arch Daily blog has a good mix of visuals and text, which was missing to some extent on the first couple of blogs reviewed here. The writer offers news, pictures, articles and interviews from the world of architecture. You will find this an unusual take on architecture as the writer asks, and tries to answer, philosophical questions about architecture, e.g. will our present concept of architecture and the way things are put together eventually disappear?Ai?? It’s an interesting take on the subject and provides plenty of food for thought.